One of Seattle’s top sushi and izakaya destinations with Belltown’s best daily happy hour. Since our opening in the summer of 2000, we have created a Japanese sushi & izakaya menu with traditional ingredients presented in a contemporary style that has thrilled guests. Located in the heart of Belltown, and as one of Seattle’s top sushi destinations, we offer an extensive array of appetizers, izakaya, sushi, and dessert options to satisfy any palate. To pair with your meal, we also include a large selection of beer, wine, liquor and non-alcoholic beverages. Our bar menu features a wide variety of specialty cocktails with multiple liquor options. From Japanese whisky to Moonstone Asian pear sake, we have flavor combinations perfect for any mood or occasion. 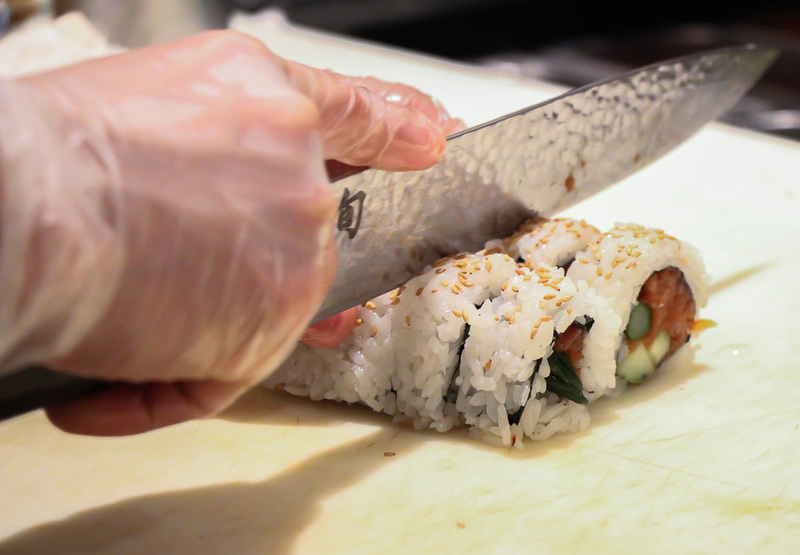 Precision cuts of the freshest fish mixed with traditional ingredients and modern twists have curated an extensive list of specialty sushi rolls that we offer. Never leaving out the more simple sashimi and nigiri options. Our chefs give an extra touch to our Izakaya menu featuring hot and cold apps that are a mix traditional and unique. Bursts of flavors coming from spices, fresh vegetables, and specialty sauces are sure to make any mouth water.